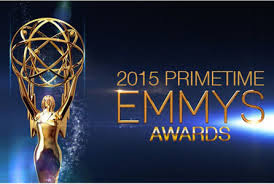 The 67th Emmy Awards aired tonight. Historically, this show is the weakest of the award shows during which there are few surprises. Andy Samberg was the host. His opening montage was clever and witty. Not shying away from the fact that there is too much on television to see it all, it was fun to watch. Unfortunately, the song morphed into his opening monologue which, while not the worst I have ever seen, was far from the best. Clearly nervous, his jokes became more forced as the laughs were not what he expected. As the show went on, the jokes became more dire. The opening exchanges between presenters were just awful and the brief sketches were strained. They were not offensive or in bad taste, just not funny. There were some good moments. A montage of shows that went off the air this year was strangely moving, even though many of the shows I had stopped watching years ago. A highlight for me was a John Oliver riff on Jeopardy that made me laugh out loud. But, the most unforgettable moment was Viola Davis's acceptance speech. It was impeccable. As you can imagine, there are so many categories that a fair number of them are not televised. For a full list, click here. And, as always, I would like to thank sunbunny who tweeted for Doux Reviews and made me laugh far more often than the show did. Once again, we proved we are in sync by sending out almost identical tweets at the same moment. So, now it's your turn. What did you think? Did the right people win or not? And, what's up with Olive Kitteridge? If anyone has seen it, let us know if we need to check it out. As far as I know the host was Andy Samberg and not Andy Sandler. On another note: Jon Hamm! Finally, well deserved and overdue. Unfortunately no other love for Mad Men. And as much as I like Peter Dinklage but this award should have gone to Johnathan Banks, Michael Kelly or Ben Mendelsohn. Anonymous -- all corrected. Thanks for catching that. I shouldn't try to post past my bedtime. Billie -- how amazing! sunbunny's tweets were all great. How wonderful that one got picked up! "Olive Kitteridge" was a mini-series (four hours) based on a terrific book by Elizabeth Strout. The book is amazing, 13 short stories based on and around Olive. In a few of the stories she has only a cameo or just mentioned in passing. It's a brilliant book. The min-serie does a good job but not great job of covering the essence of the novel. Francis McDormand (as Olive) and Richard Jenkins (as her husband) are excellent. Bill Murray was only so-so. I guess i'm recommending the book more than the min-series.